Archeological artifacts from the Ear basement are on exhibit at the New York Historical Society, Central Park West at 82 St - (aka uptown!) featuring old bottles, shards, pipes, shoes, bones, etc. Did you loose anything in the pub circa 1820? Also see the TV production called Place Matters on WNYC-TV features a house tour by Martin Sheridan muttering about ghosts and other ever taller tales of the Ear. See the portion on the James Brown House in this YouTube video 4:17 into the clip. Plus: quiz: what is the flag flown outside the House? Last month: Devon England winner of the month gets a free flag soaked w/ beer.. 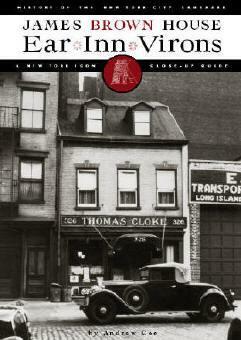 This site includes highlights from the book "Ear *Inn*Virons: History of the Landmark James Brown House." 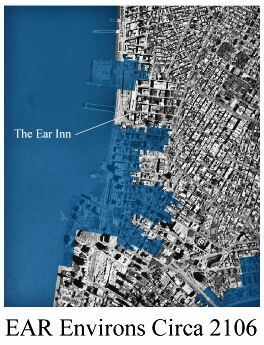 Ear*Inn*Virons traces the heritage and legends of this New York City landmark. 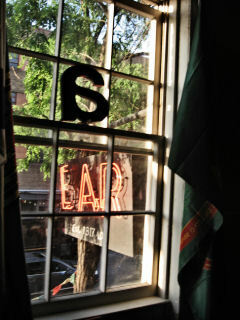 It chronicles the history and culture of the vibrant West Soho neighborhood from colonial times and bustling seaport life, prohibition, and eventual neighborhood decline, to today's Ear Inn. Still open and fresher than ever after 190 years! To arrange an event in this historic setting, inquire at the bar or call Rip at 914-263-6716 Available hourly, daily or weekly. 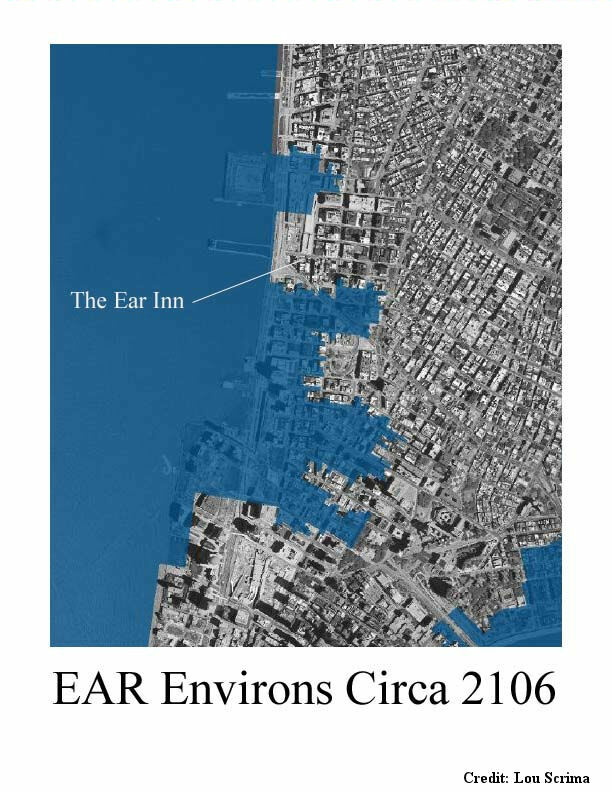 "Ear Inn building celebrated at tour event"